A cologne created in honor of the city of Seoul. Its bouquet of fresh green and crisp top notes introduces an intense heart characterized by Korean pine and lead woody oriental base notes. A picture of a conifer forest decorates the box, emphasizing the soul of Alba di Seoul. This picture is by photo artist Bae Bien-U, a well known Korean photographer. 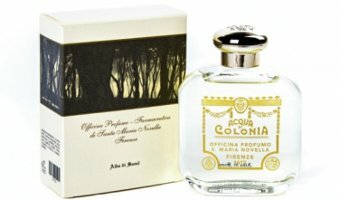 Santa Maria Novella Alba di Seoul is available in 100 ml Cologne, $135. I love pine. I want to try this. Count me in too, love pine.